We tried to see the crater at the top of Poas Volcano but to no avail; the clouds stayed throughout the day. If you plan on trying to see it, I recommend staying at the Altura Hotel (it’s beautifully designed and has every comfort you could want while being about 7 minutes drive from the park entrance.) and checking the Poas cam (if you see grey, that’s not it not loading, that’s the actual current condition of clouds covering everything). 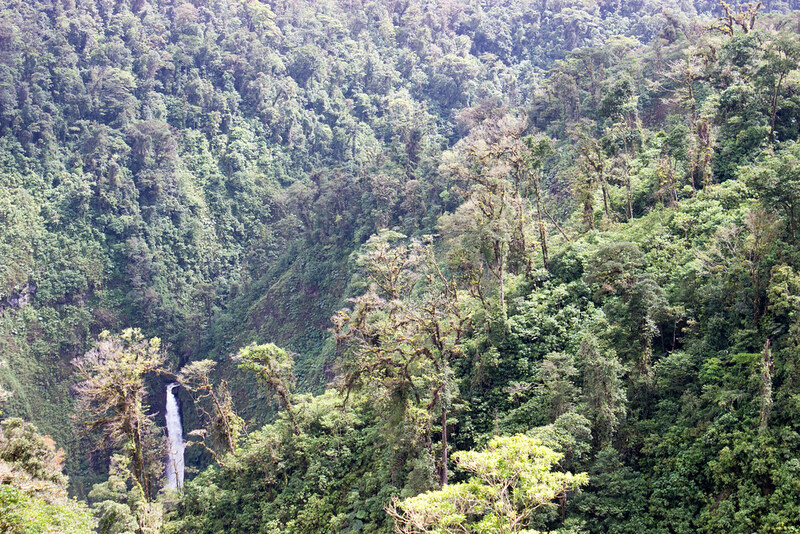 After our attempt, we drove from Poas to the Sarapiqui area, this drive is absolutely beautiful; there are waterfalls and green rainforest in all directions. We took the Mi Cafecito Coffee Tour near San Miguel. Mi Cafecito is a fair trade company owned by a cooperative of 147 families in the region. 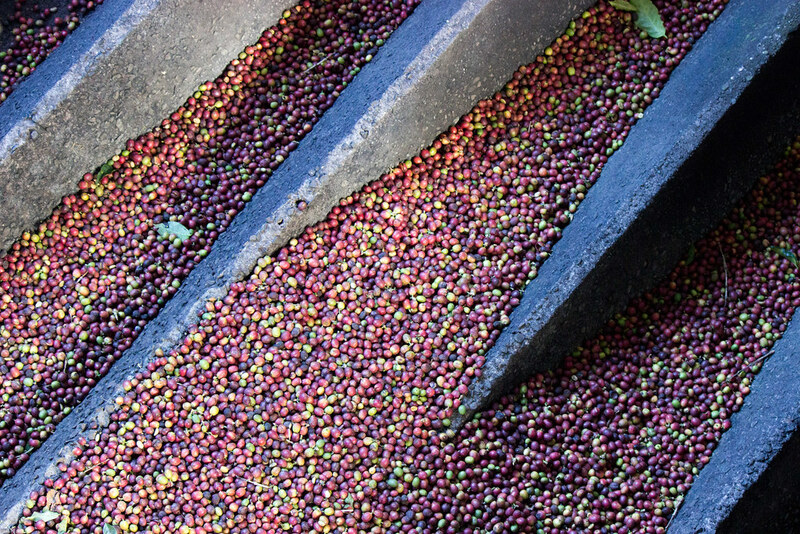 On the tour, you learn about the process of making coffee from growing the plants to roasting the coffee beans. We also learned about the history of coffee in Costa Rica and how Costa Rican coffee came to be synonymous with quality coffee. Milton, our guide, is super friendly and very encouraging of questions. At the end of the tour, you get a cup of cofee made the traditional way as well as a vegetarian taco and some corn bread. I learned a lot (I had no idea that coffee berries were sweet!) and it’s also a good way to support the local families. 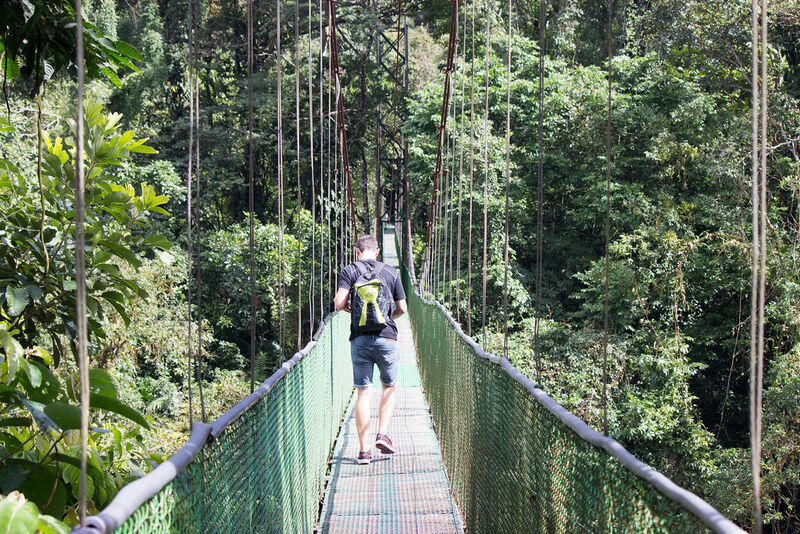 After the tour, we made our way to La Tirimbina Biological Station for some light hiking. The trails here are not very difficult (perfect for kids) and you can go on hikes by yourself. They also have guided tours and a night hike to spot some nocturnal animals. 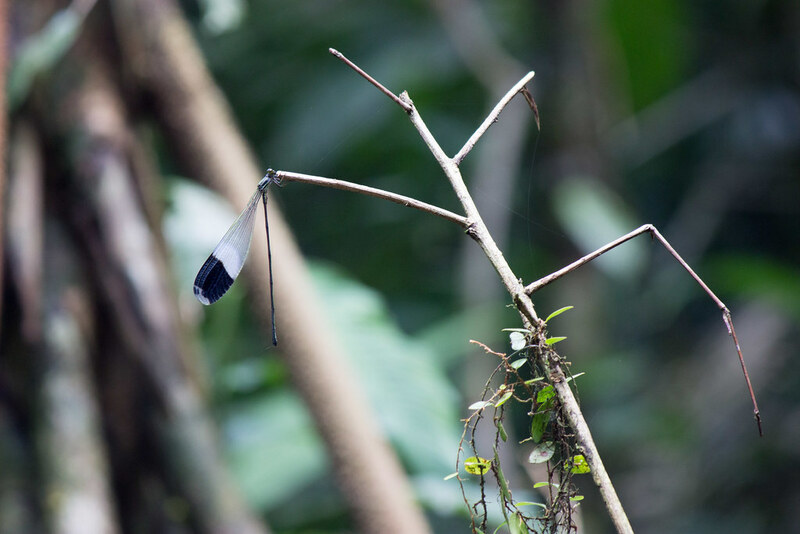 We saw some interesting birds and insects but I was disappointed during the hike not to see any sloths. 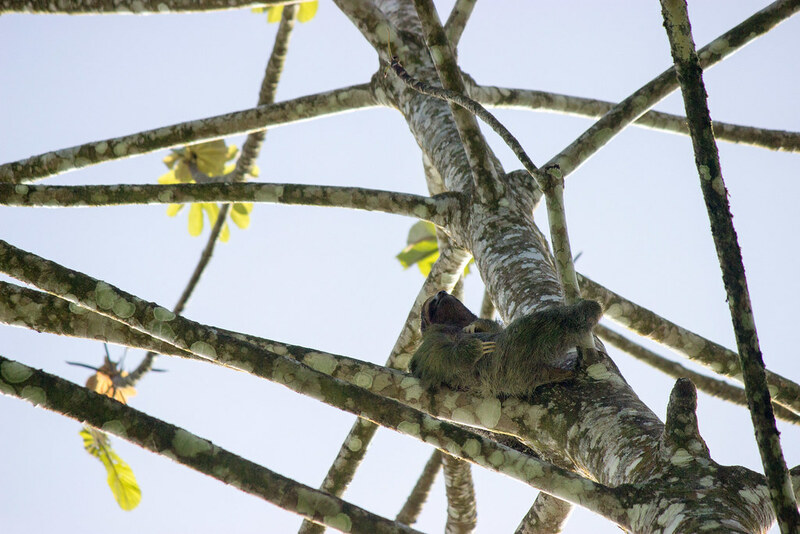 As we were walking out, however, I looked up to find a three-toed sloth just hanging out by the entrance! A three-toed sloth scratching itself!